There are zillions of photos on the Internet, which are the creation of many professional photographers and artists. These photographs are easily accessible through usual keywords and are not locked and filtered. When anyone goes through such photos he might think of using it on his website without seeking permission from the owner of that photo. In Internet parlance, this is equivalent to stealing as you weren’t aware or informed about the usage of your asset. * Paste URL option: Click on the camera icon and copy the URL of the photo you’ve posted on the Internet. You can copy the URL by simply doing a right-click on the image and select the option of copy image address. Put the copied item in the search bar and click Search for image. * Upload an image: This option lets you upload the photo from your machine. Click on the camera icon and click Select file to upload the image. * Drag the image: This one is the most convenient option that lets you drag and drop the picture you want to check. The option automatically starts searching for the images. Check Similar Images on Google: Once you’ve searched for the images that look like yours, Google also creates a report that are like yours. It also considers the images which have been touched up a little. Get in touch: It is always better to contact the person or the website directly and let them know about your concern. Sometimes, there are chances that people use someone else’s images without knowing. You may directly ask the person to either remove your image or let them know how you wish to grant the permission. If they agree to your terms, it’s good, else you may follow the next step. Seek help from platform: If your images are being used for advertising on social media or on any other such platform, you can contact them directly. This is the best option to get your photos removed quickly as the platforms take such issues seriously. The last option – 911: If all the warnings and complaints have gone unanswered, it is your right to take a legal action. You must contact the police and file a formal complaint in written. 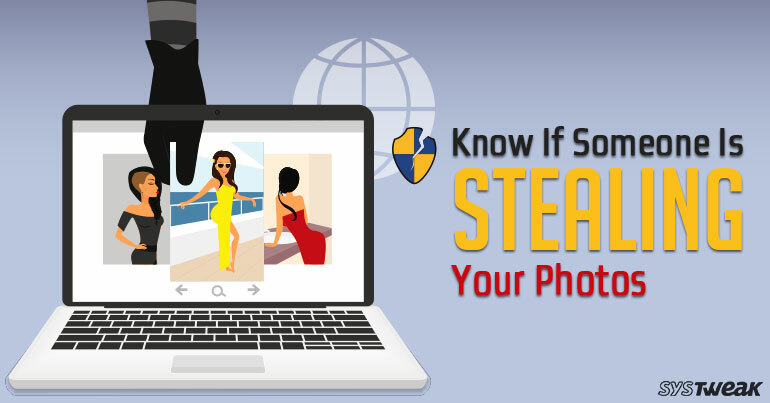 Overall, it is easy to know if someone is stealing your photos online and using them for own benefits. Though there aren’t much cases of unheard complaints from different platforms, you may take the strictest action towards photos stealing. How to Hide or Unhide Photos on Google Photos.